Darn. Darn. Darn. One of. 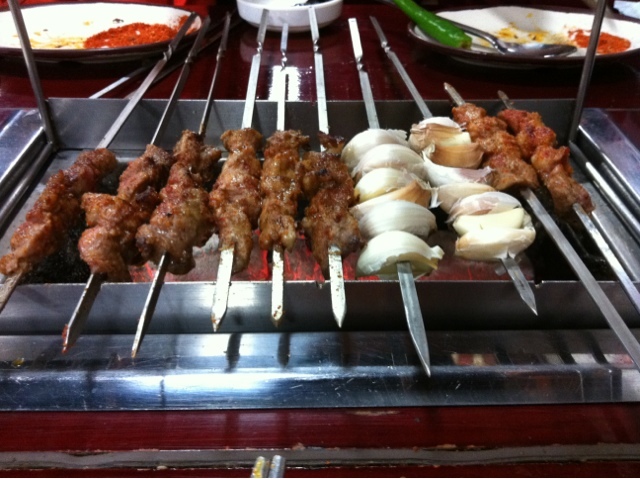 My favorite places, Shim Yang, has an hour late and I have a hankering for lamb skewers. 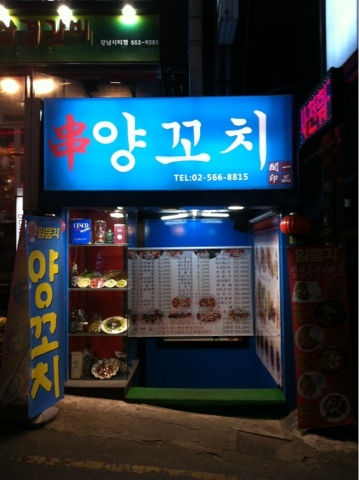 One of my friends suggested we head to Gangnam Station because he said he knew the original lamb place that Shim Yang stole the concept from. Hmmm. So we found the place. It is down from the new exit 11 and then you make a right at Paris Baguette and go up the hill. 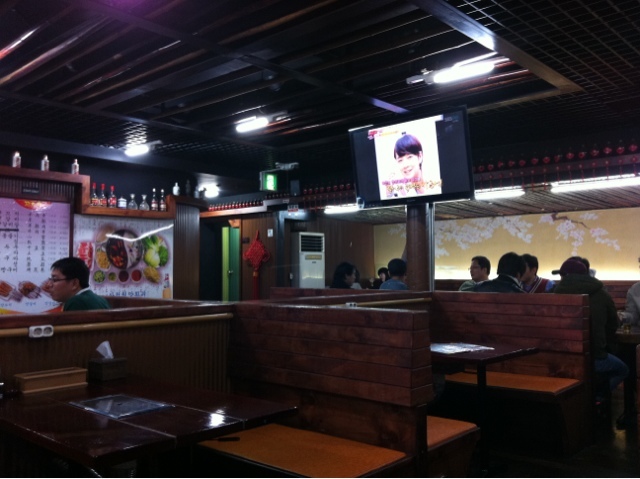 It looks like a Chinese restaurant and it has a Chow Young-Fat feel to it. Here the food has an nostalgic feel to it. It seems it is trapped in an 50'd Shanghai Movie and hasn't adapted to modern tastes. 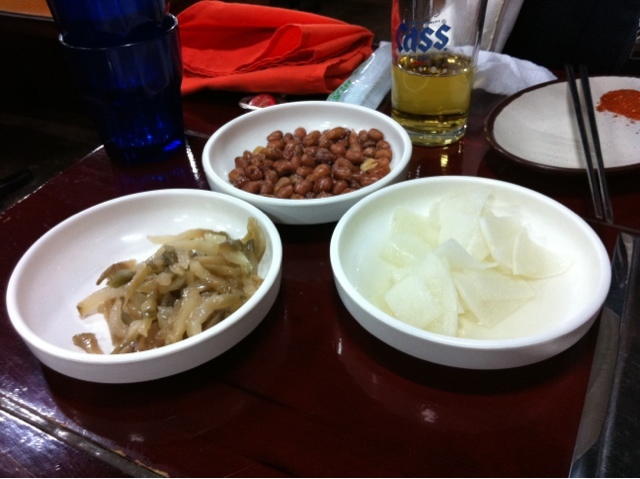 The chilies are served with black bean sauce, the peanuts are sweet and the veggies are slippery. The taste of the lamb redeems the place. 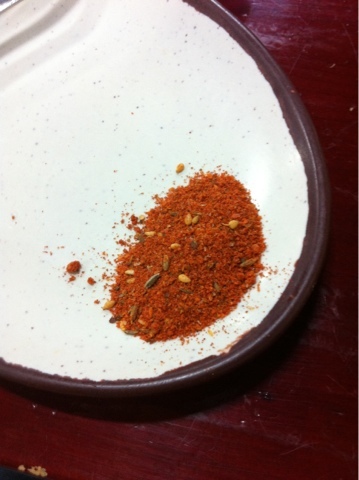 It is rich and savory and dusted with herbs. 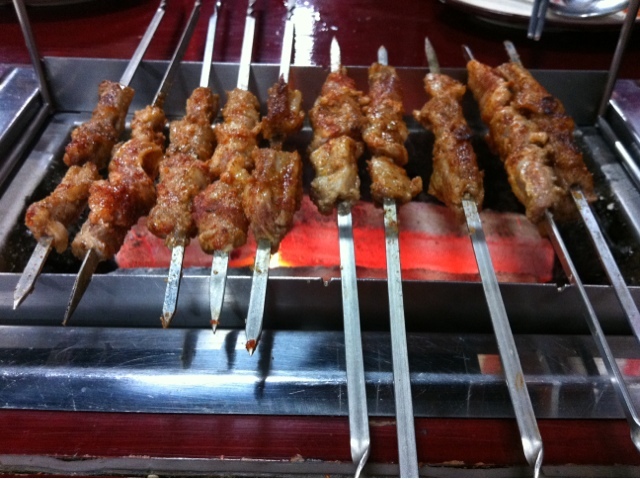 I recommend you give it a try if Shim Yang is too full.